Another neat example is the power-mapping tool developed by AGENDA (Action for Grassroots Empowerment and Neighborhood Development Alternatives), a South Los Angeles community organization. 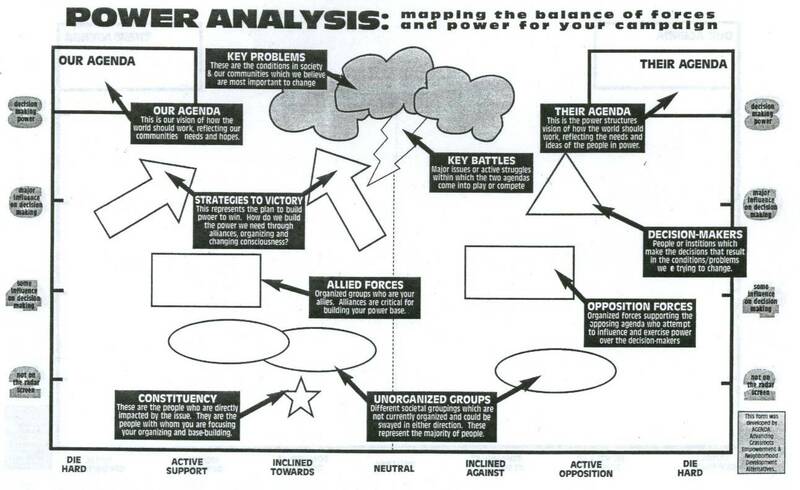 The technique doesn’t include specific relational elements, but provides a framework for positioning allied and oppositional groups on two axes (vertical axis as power, horizontal as support / opposition) in order to develop a plan of action. Previous PostOil Change Web App ReportNext PostFollow-the-oilmoney lives! 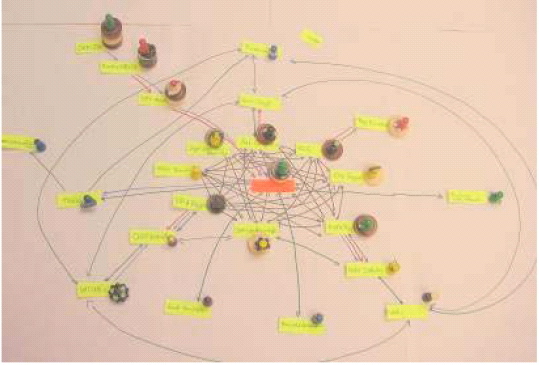 Yannick Rumpala, “Knowledge and praxis of networks as a political project”, Twenty-First Century Society, Volume 4, Issue 3, November 2009 (an older version is also available at: http://yannickrumpala.wordpress.com/2009/10/21/tracing-and-reconfiguring-networks-to-build-a-political-alternative/ ).